As many of you know; one of my favourite beers is Oakham Citra - it's possibly the best hoppy session beer in the world! 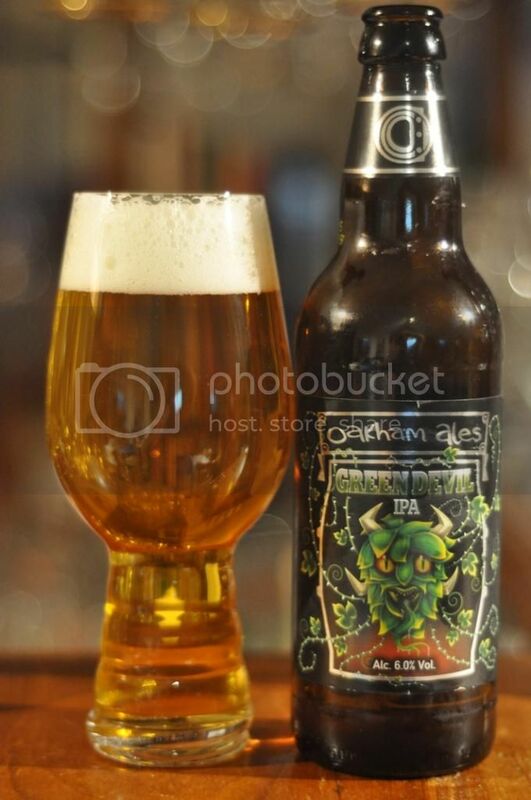 The Green Devil is Oakham Ales' much talked about IPA and this is the first time it's been to Australia! It was never in doubt that I would buy this beer; it was always a question of how many I'd buy! I settled on 6 to start with, but the twinkle in the eyes of the guy I bought it from made me think I might not have bought enough! I am so excited to try this beer, I think it's time to crack into this and get this review done. Let do it! Much like the last IPA I reviewed, Liberty C!tra, on Beer O'Clock Australia Oakham Green Devil poured a very very clear golden colour. The head was white and fluffy but for the most part the bubbles were tight foam. Head retention was good and it left behind probably the most lacing I've ever seen on one of these Spiegelau IPA, do they have a coating that means lacing doesn't stick? On reflection the colour was a little lighter than I would like, but it doesn't really detract from my score. Green Devil's aroma was all hops, I could hardly detect even a hint of malt on the nose. Like it's smaller brother, Oakham Citra (full review here), this beer appears to be just hopped with Citra hops, although I could be wrong. I get all the aroma's in this that I get in the Citra - the same lychee and grapefruit dominated smells, and I also get some pineapple on this one. They are both such lovely aromatic beers. Overall Green Devil is a very good IPA, although it's certainly not Oakham's best beer (that honour is Citra's!). For me comparing any beer to Oakham Citra is hard, it's going to be very hard to displace one of my favourite all-time beers! On it's merits though this is a very nice IPA, if you are going to try it expect plenty of fruit flavours, including the distinctive Oakham lychee flavour - which I struggle to detect in any other beers. 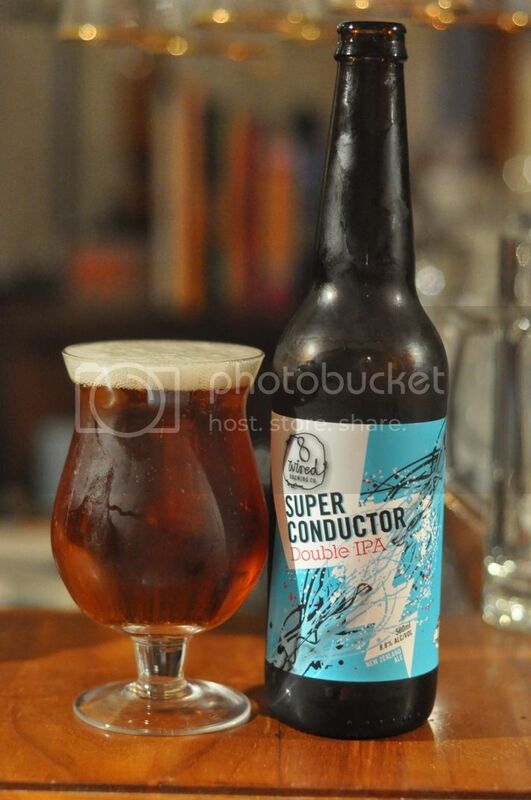 Worth trying if you are an IPA fan.